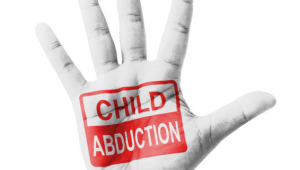 You may have recently heard a lot in the media about cases of International Child Abduction, due largely to the highly published case of the children from Italy who went into hiding in Australia. Our Family Law Expert, Anton A Richardson was recently asked to appear on 92.5 Gold FM as their Family Law consultant, to explain that case and International Child Abduction in general. 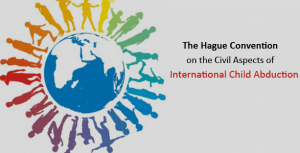 The Hague Convention is an international treaty designed to ensure that children who are wrongfully removed or wrongfully retained by a parent, will be returned as quickly as possible to the country in which they habitually reside so that issues of parental responsibility can be resolved by the courts in that country. Countries that are a party to the treaty have agreed that a child who was living in one Convention country, who has been removed or retained in another Convention country, in violation of the left-behind parent’s custodial rights, shall be promptly returned. Once the child has been returned, the custody dispute can then be addressed in the courts of that country. The important fact to note is that the Convention does not address who should have custody of the child but rather determines in which country those issues should be considered. Your child must have been wrongfully removed from Australia or wrongfully retained in another Convention country without your prior consent or without a court order. The child’s return would be a breach of its fundamental freedoms and human rights. If you are concerned that your child may be removed from Australia you can take steps to prevent wrongful removal in the future. We can assist you in obtaining a parenting order from an Australian Court, or an order prohibiting the removal of your child from Australia. The Australian Federal Police can then place your child’s name on the Airport Watch List. We may also be able to assist you in preventing the issue of a passport for your child by raising a Child Alert on the passport system. If you have any queries in regard to any of the above, please do not hesitate to contact us. Please note that in these cases, time is of the essence. It is important that you do not delay.